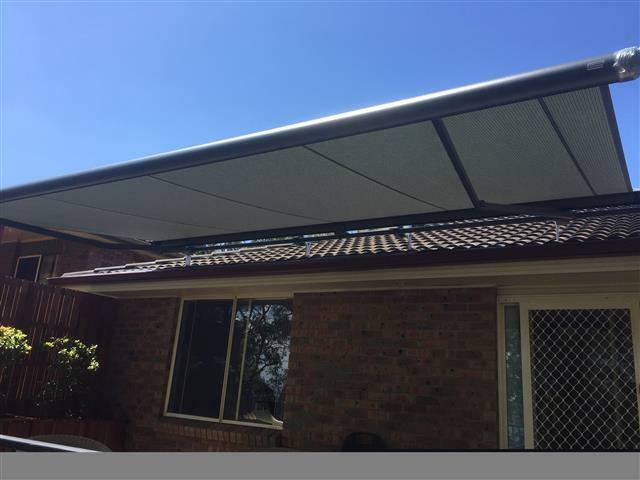 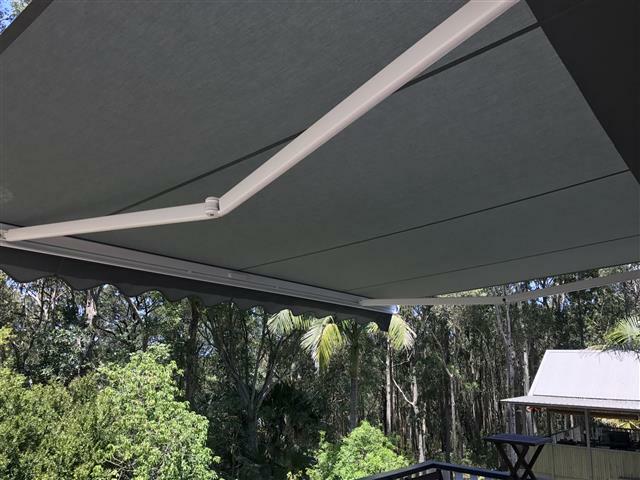 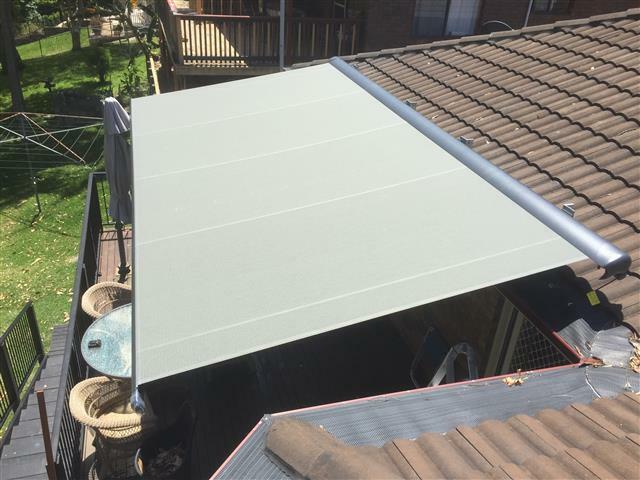 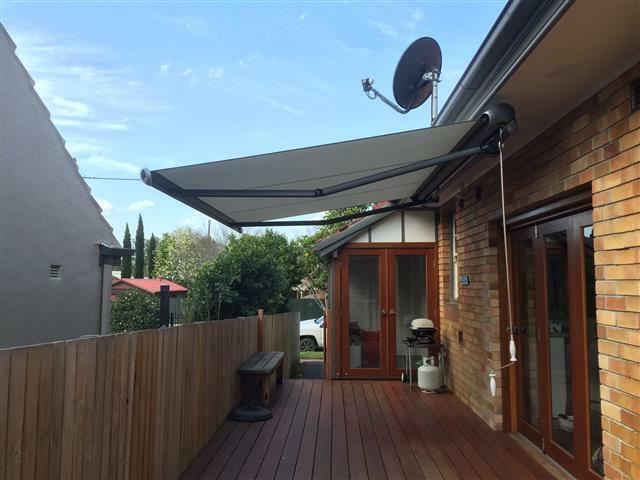 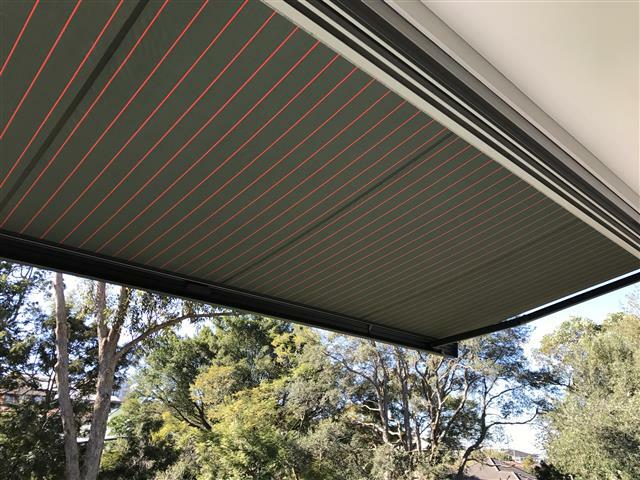 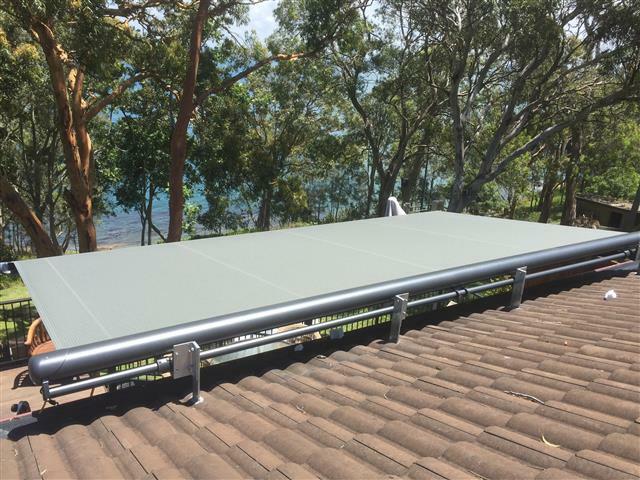 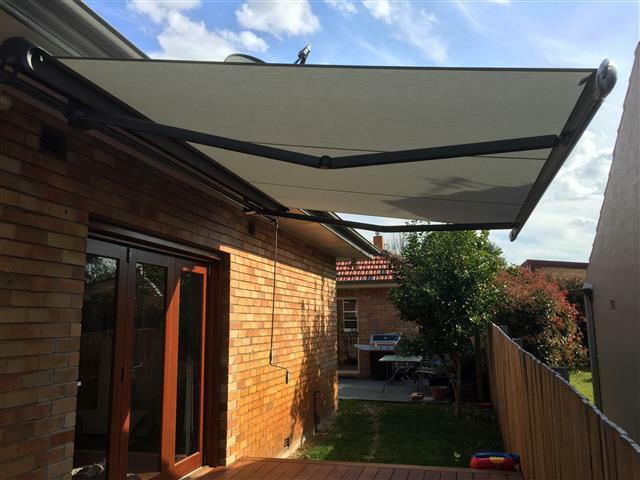 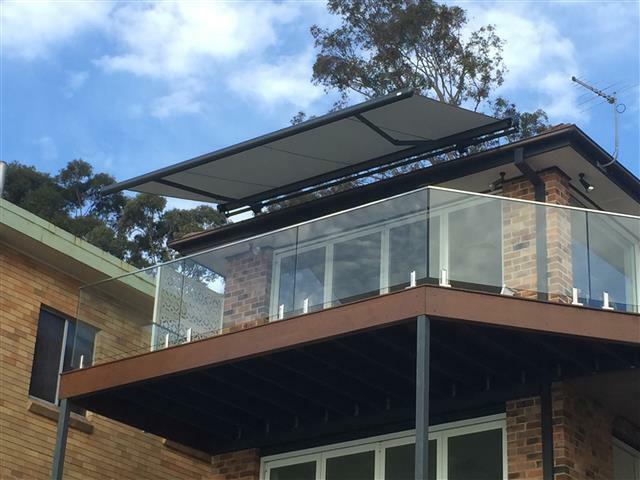 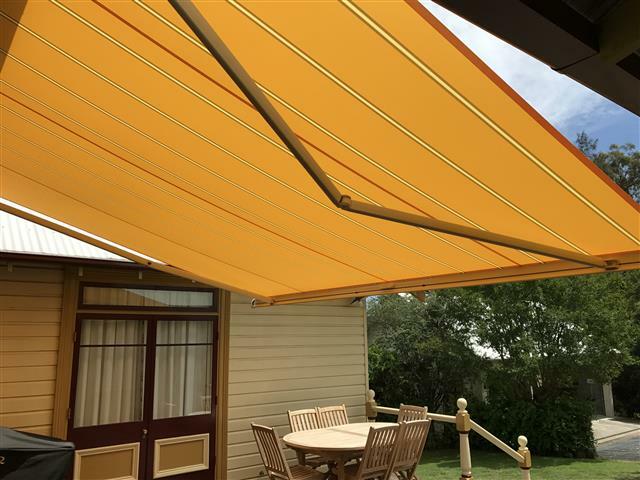 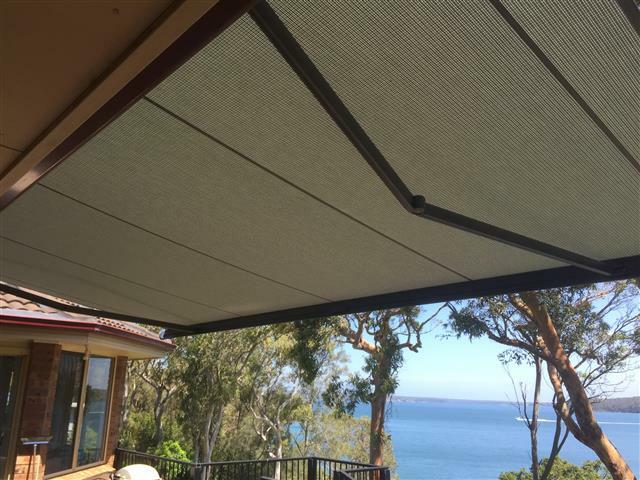 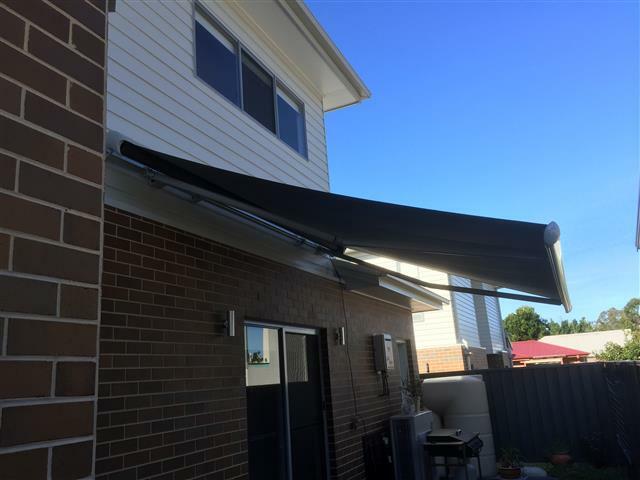 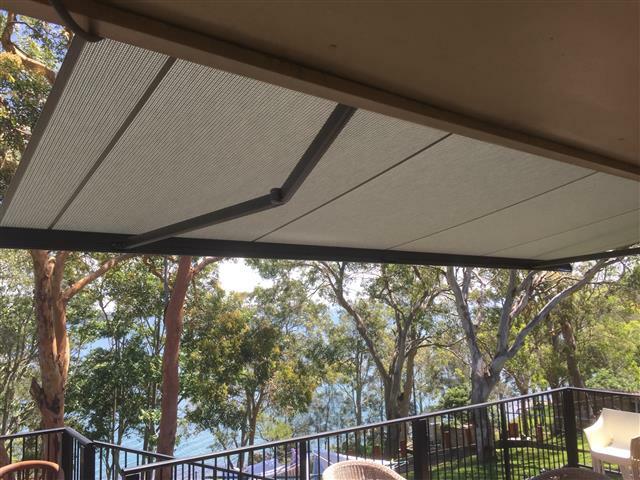 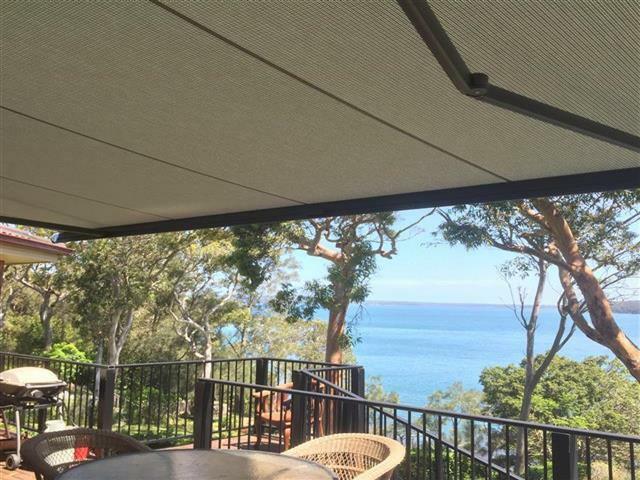 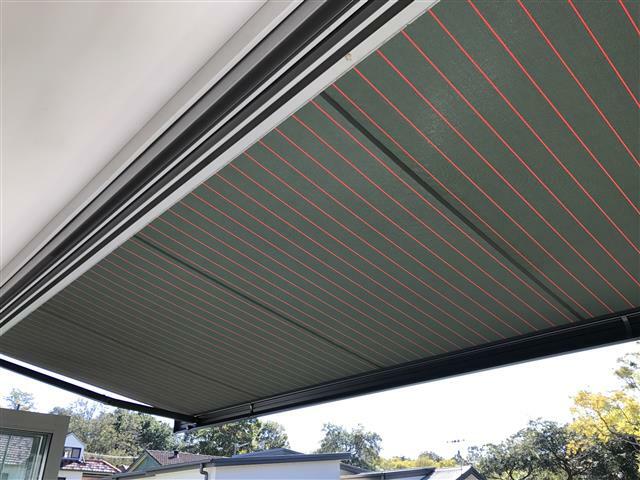 We are proud distributors of Markilux awning systems for the Newcastle and Hunter Region. 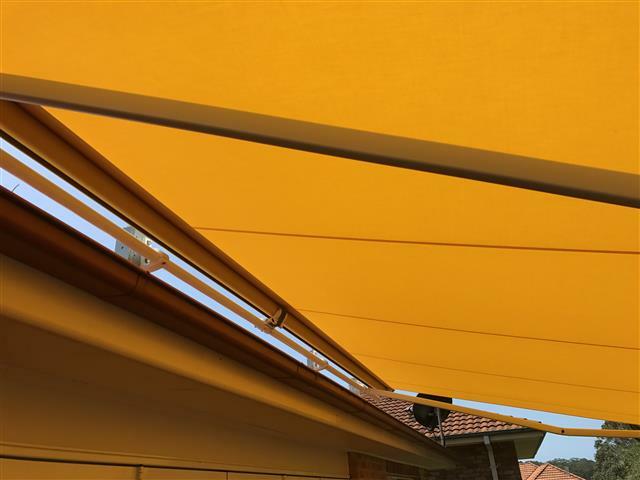 The award wining German designed awnings are synonymous with quality of design and innovative technology. 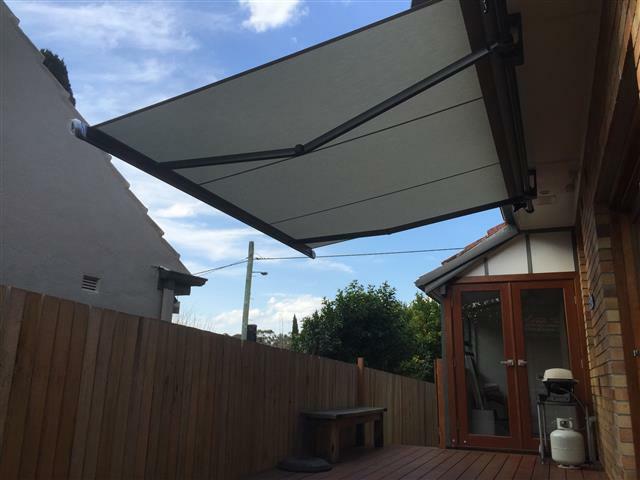 Get in touch for a quote for a Markilux awning by using our online form. 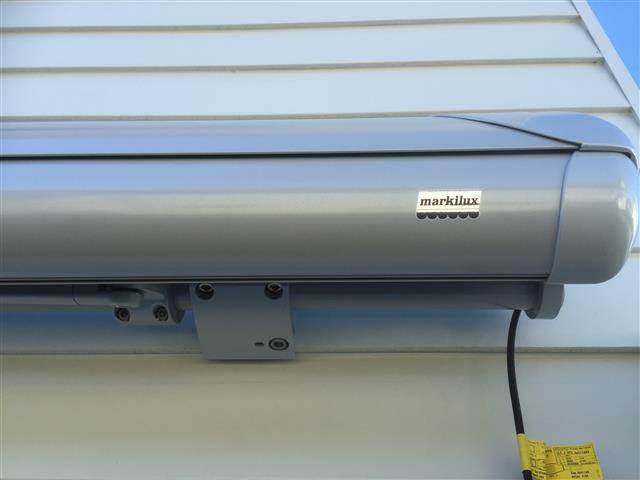 The Markilux range has proven its level of quality to us and our satisfied customers over the years. 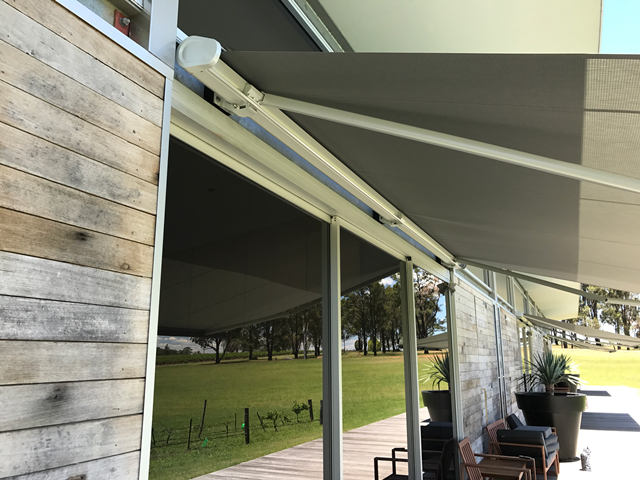 German precision combined with great styling and high quality components makes the Markilux range a great choice. 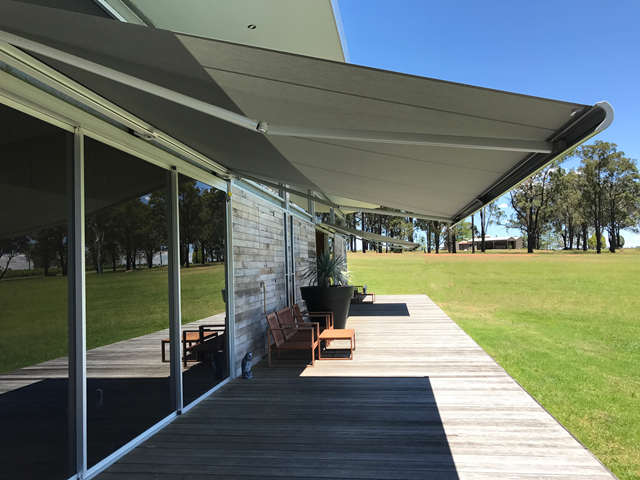 A perfect combination of form and function, we have continuously found that the range is long lasting, beautifully designed and reliable. 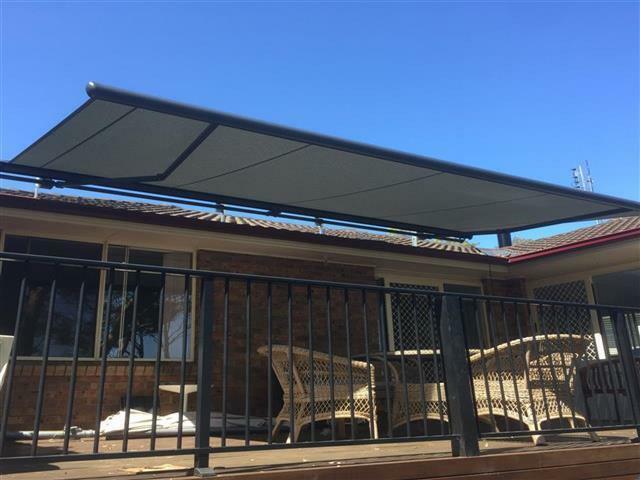 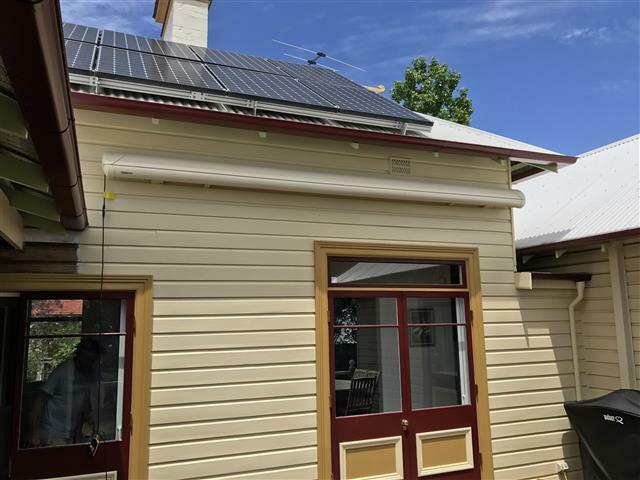 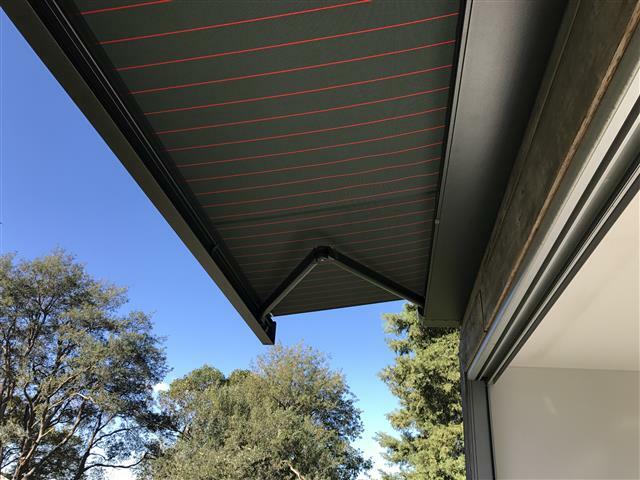 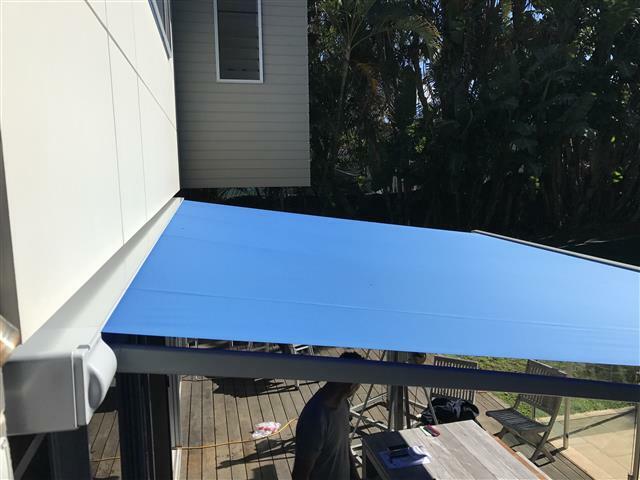 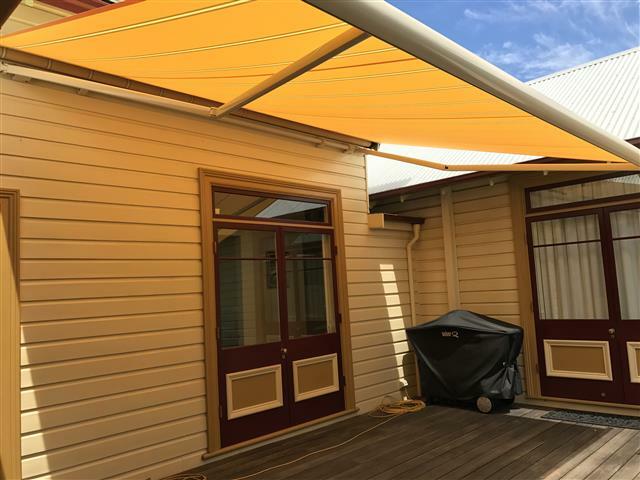 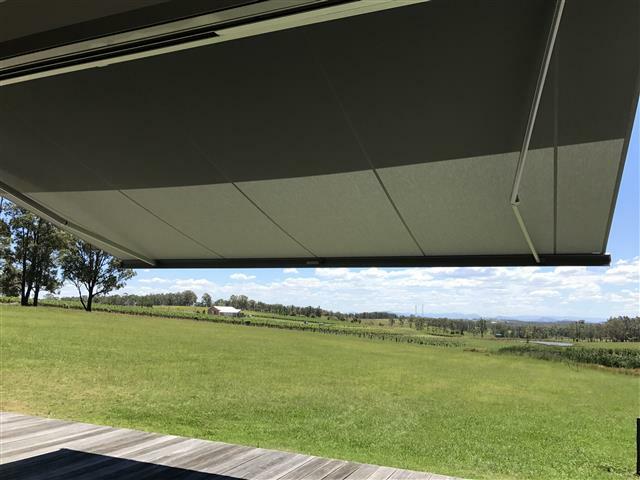 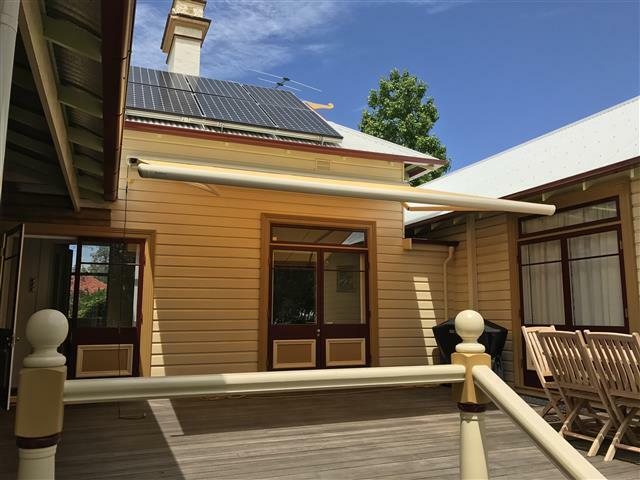 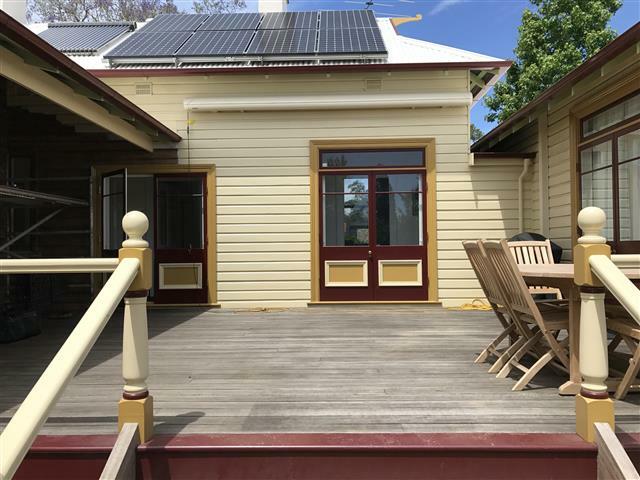 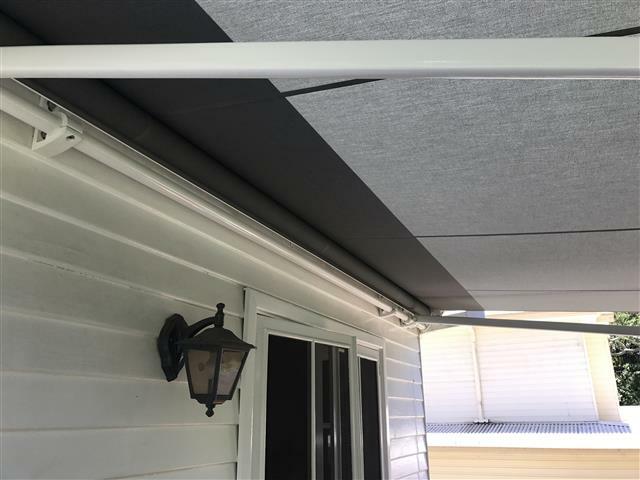 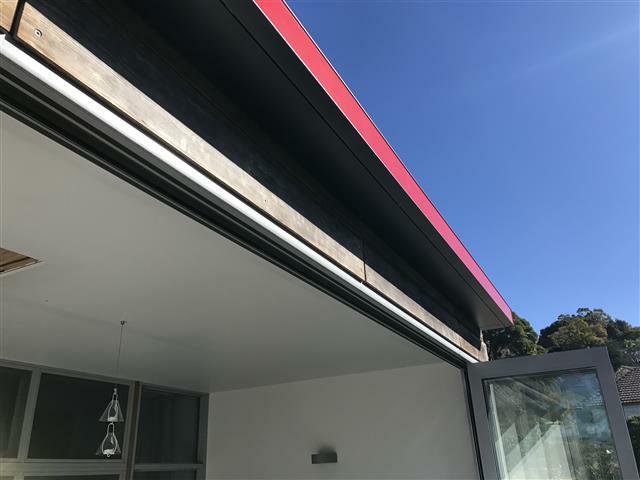 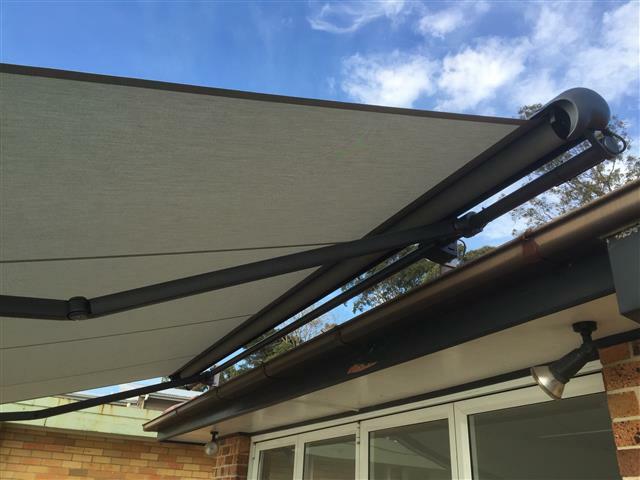 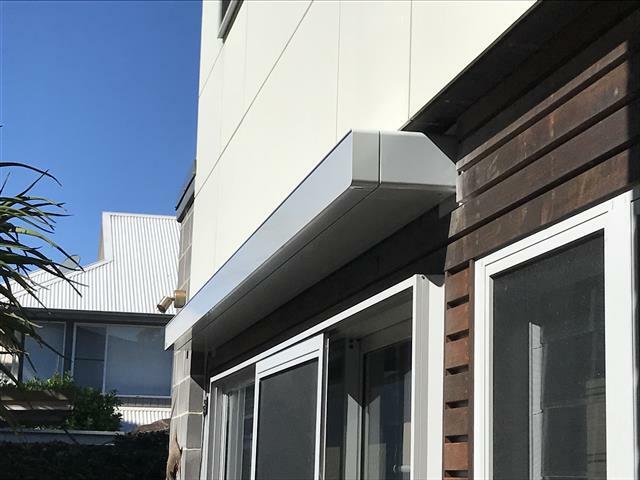 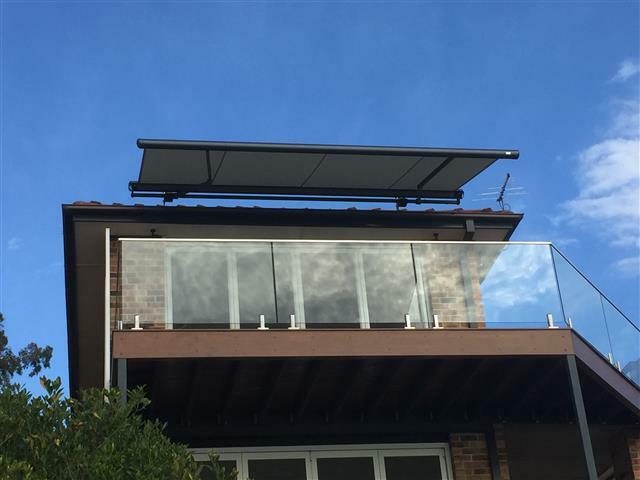 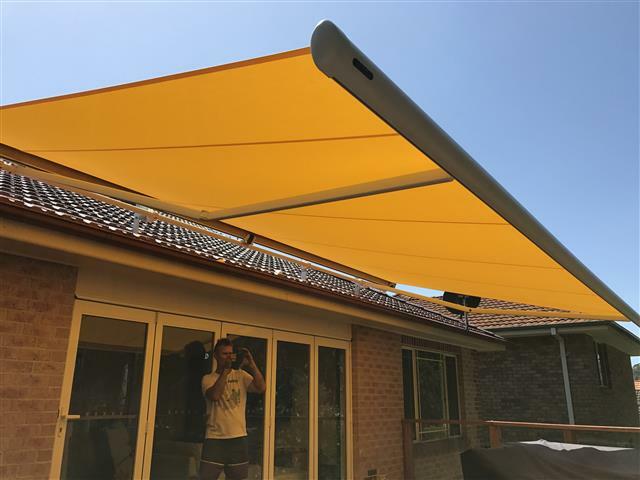 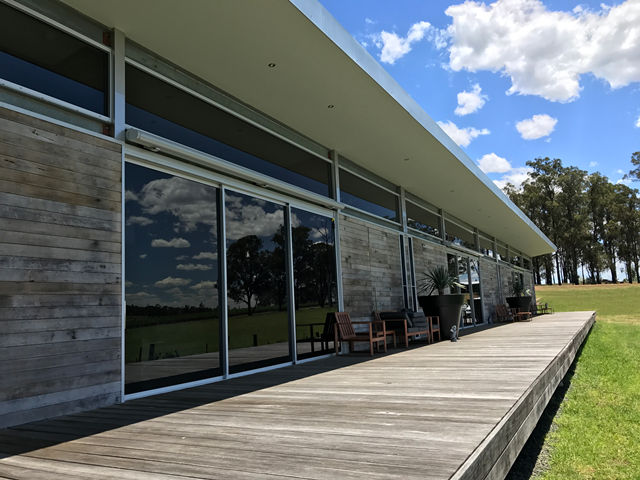 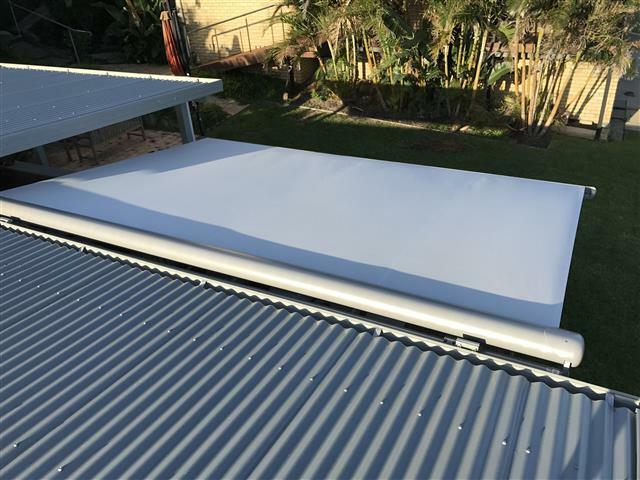 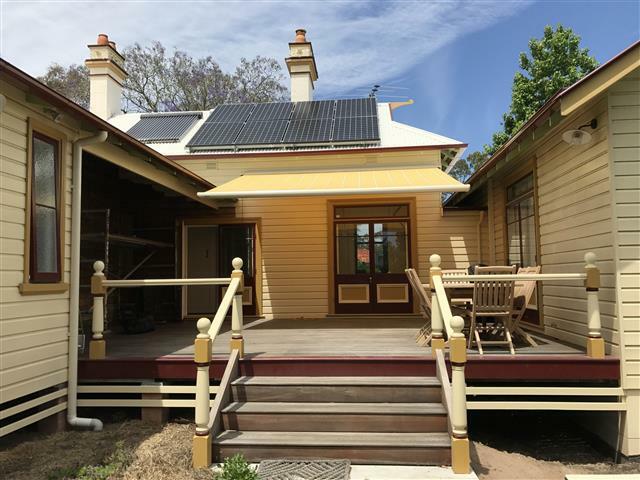 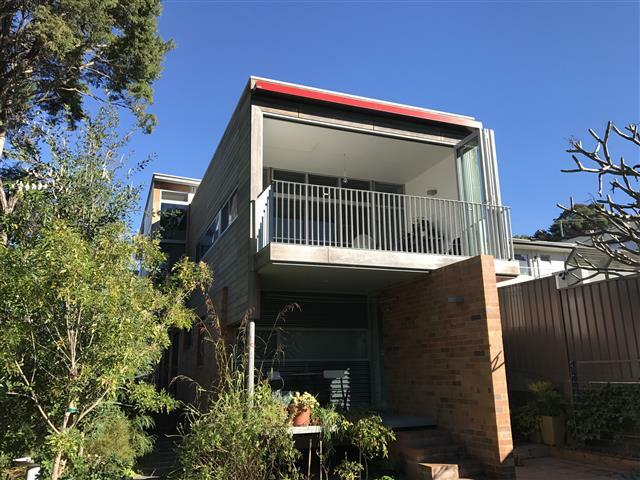 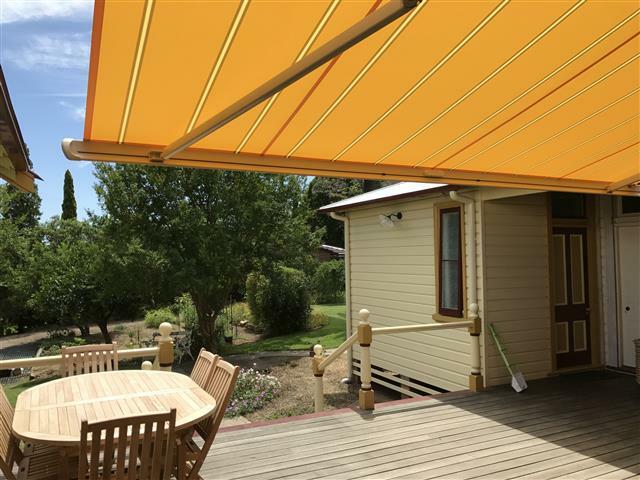 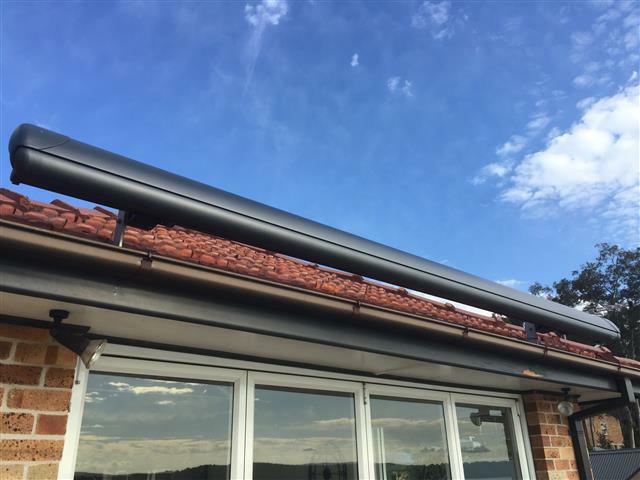 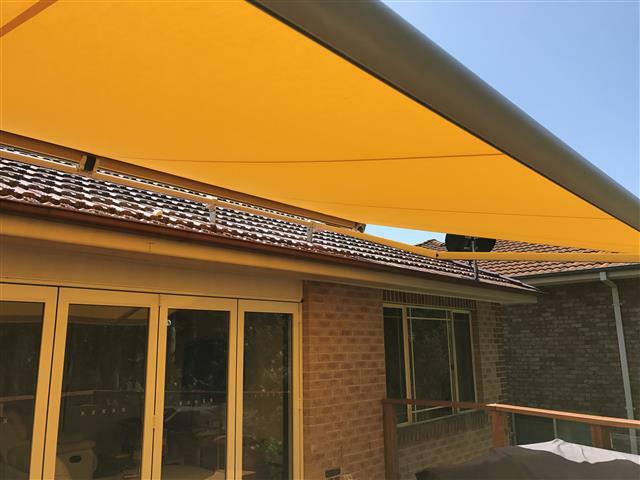 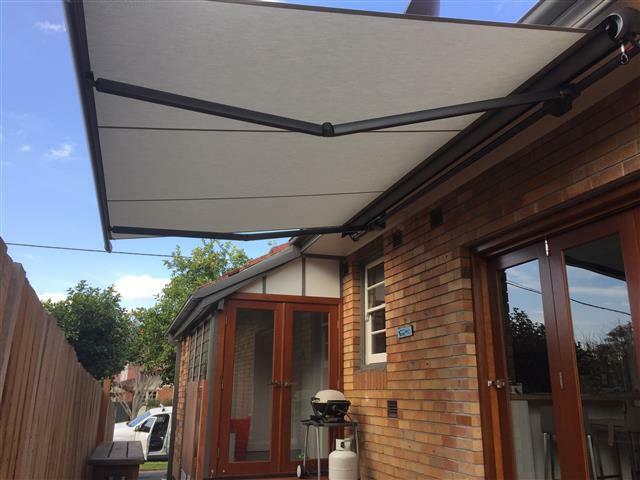 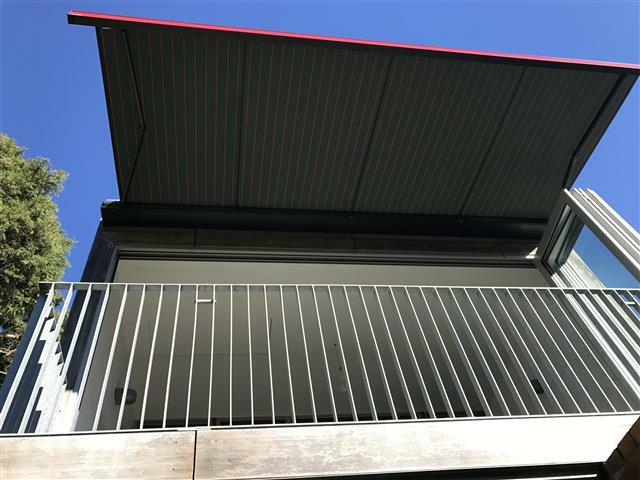 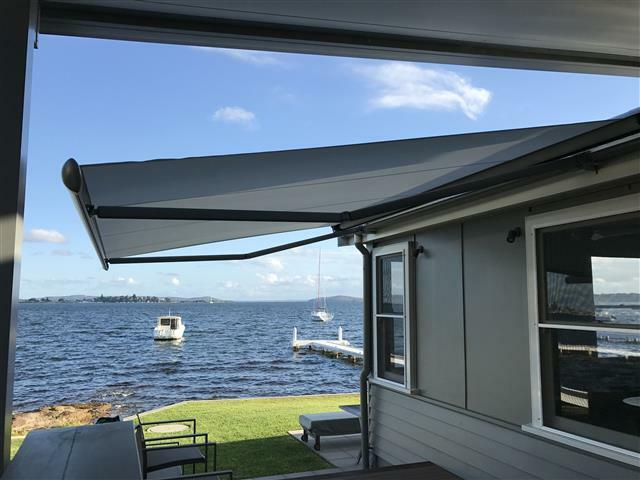 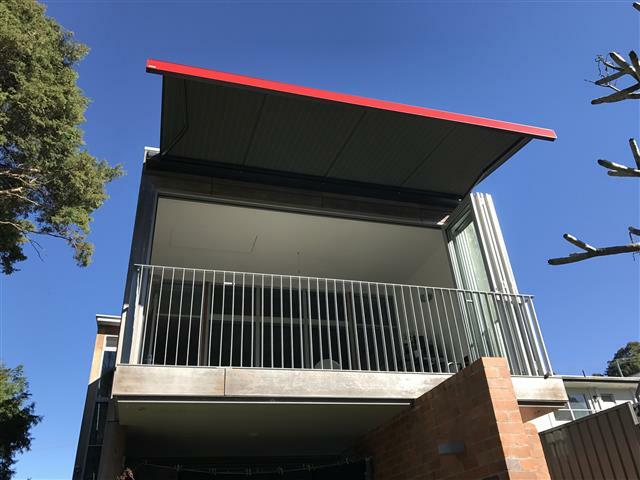 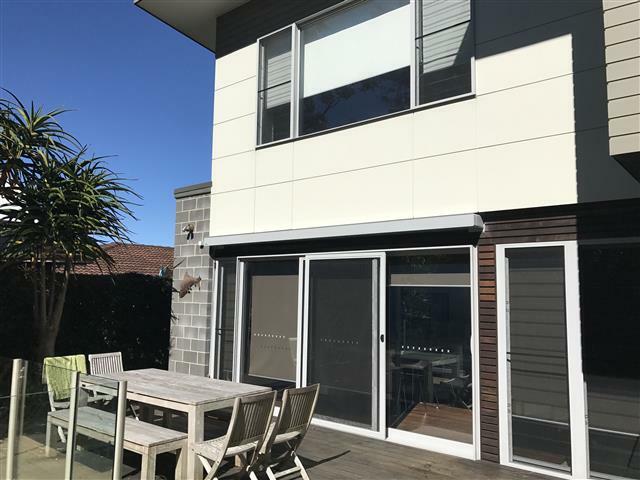 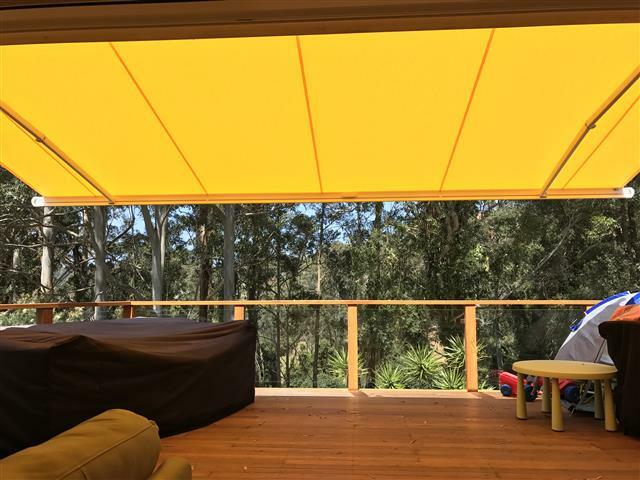 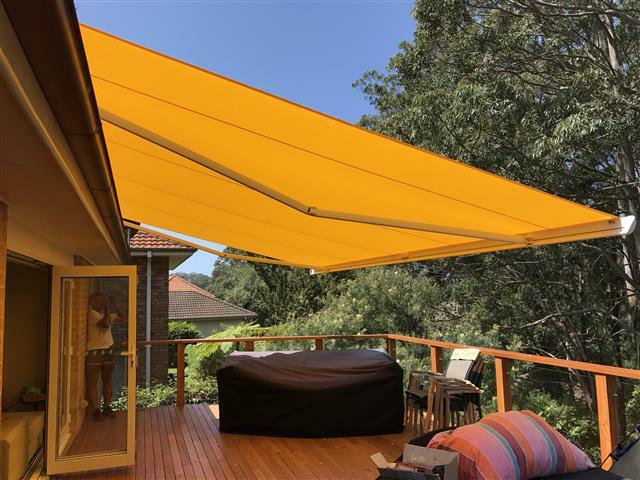 Our Markilux awnings projects across Sydney and the Hunter region, speak for themselves and we have detailed a few case studies for your information. 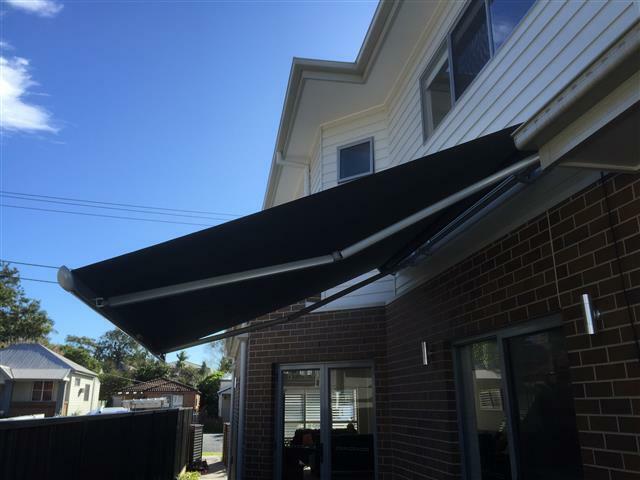 All our awning projects involve a custom made awning to suit your situation perfectly. 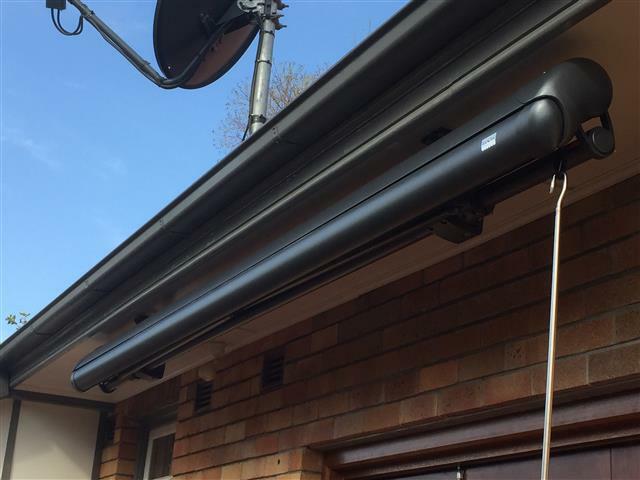 Allow approximately 6 weeks time frame from your acceptance of a quotation to the installation of the product. 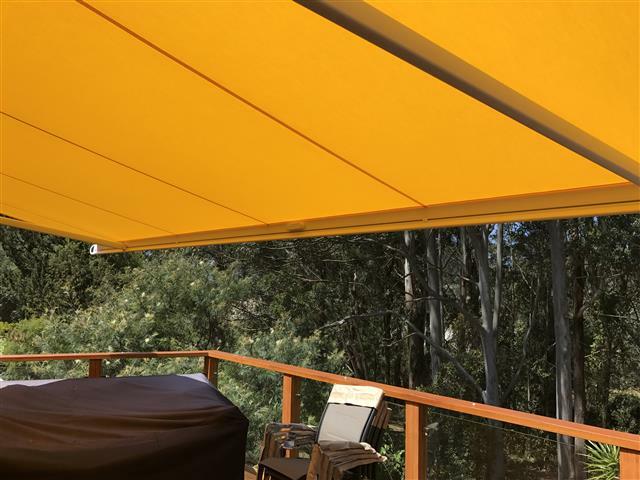 As part of the process, we will work through a wide selection of Markilux fabric samples of their "visutex", 'sunsilk' or "canvas" ranges with you to ensure that you get the most beautiful result. 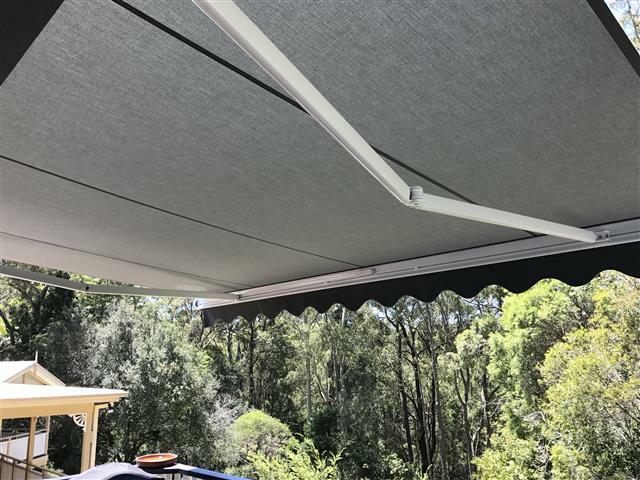 The Markilux sunsilk and sunvas range have a special finish giving the awning covers incredible longevity and resistance against rain, ultraviolet light and fluctuations in temperature. 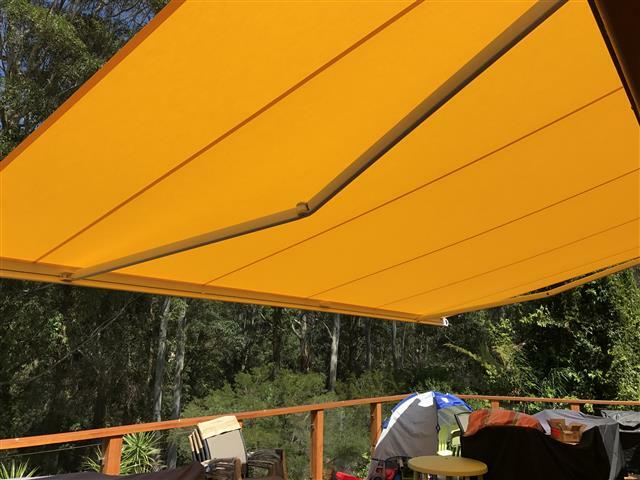 They are certified according to Oeko-Tex standard 100 and this guarantees they are free from harmful dyes and chemicals. 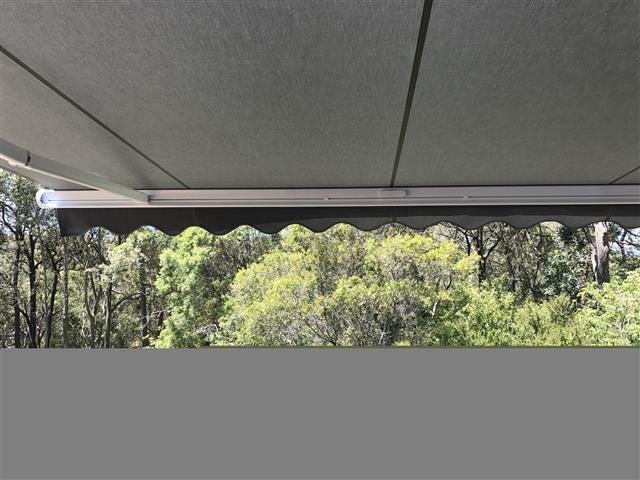 All markilux cassette awnings offer weatherproof all-round protection. 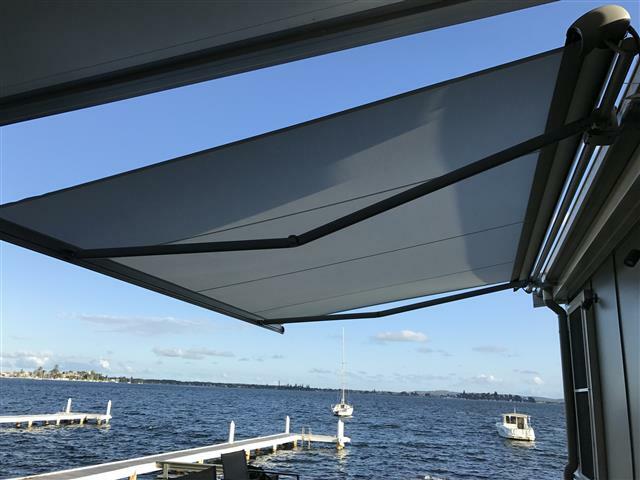 the awning cover is protected within a fully enclosed cassette when retracted and stays immaculate. 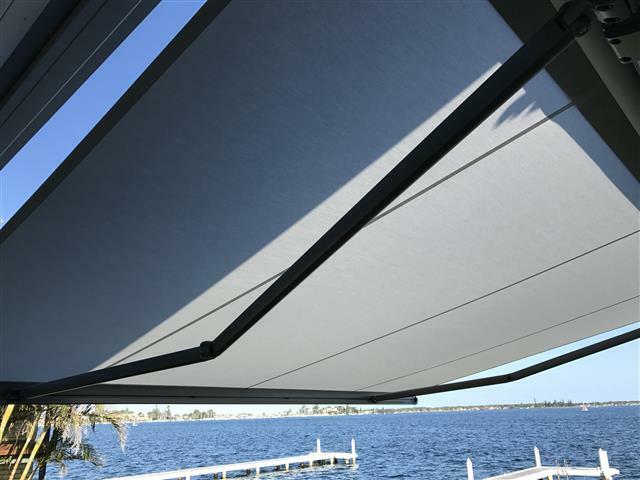 In the case of semi-cassette awnings, the awning cover is protected by a coverboard when the awning is retracted. 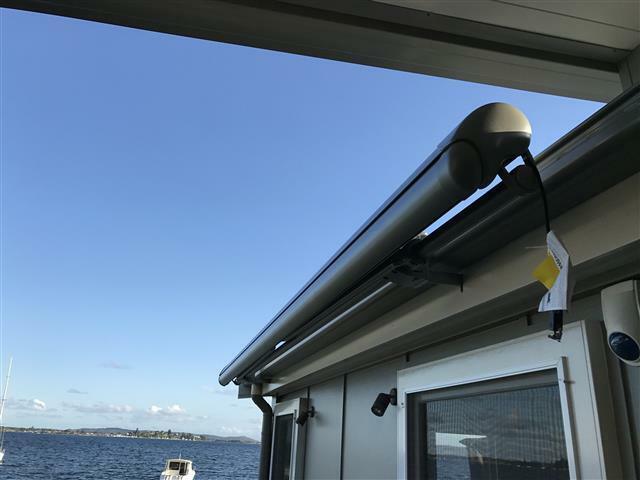 The anwings are open underneath and are perfectly suited for locations where all round protection by a full casette is not required. 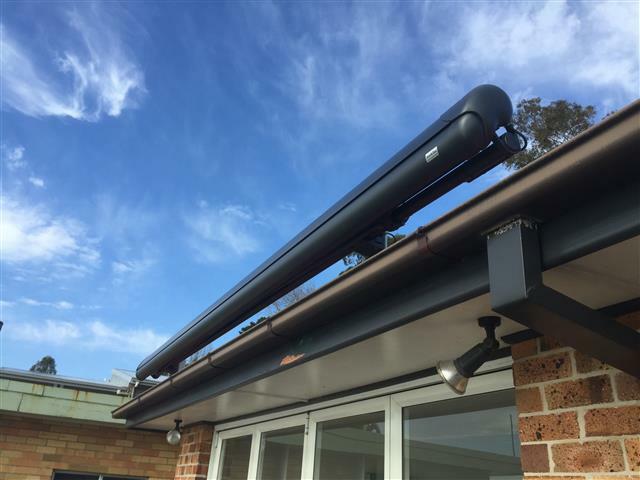 These are mainly intended for installation under overhanging roofs. 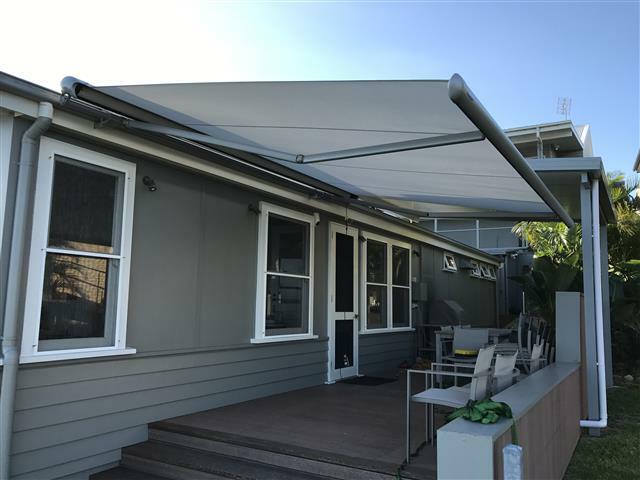 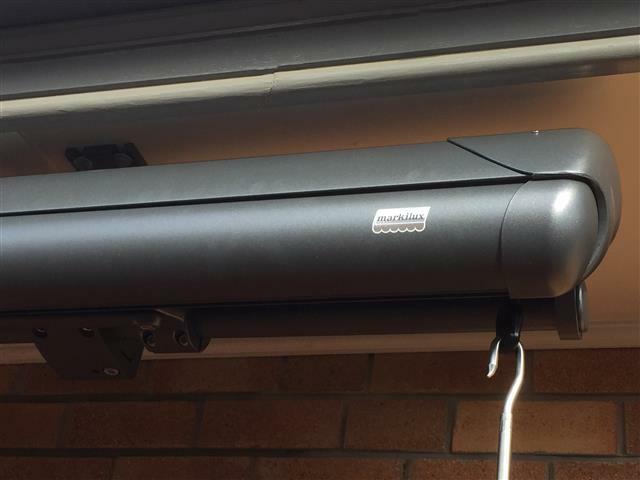 View case study details of the Markilux 6000 Folding Arm awning project at Belmont.